Boating on the Norfolk Broads has to be one of the most relaxing ways to spend a long weekend, or more. 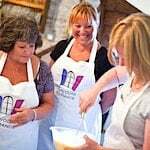 Pottering along at just 5mph is the perfect speed to wind down, relax and take in the National Park scenery, with long stretches of reed marsh and woodland, the banks dotted with picturesque thatched cottages plus the occasional pub for vital victuals. 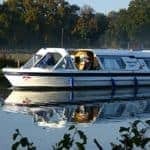 Enjoy the ultimate relaxing break exploring the UK’s inland waterways on a self-drive boating holiday. Whether for a weekend, a week or longer, it’s the fastest way to slow down. With no locks to negotiate, the Norfolk Broads couldn’t be easier. 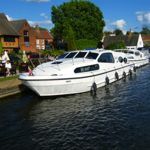 You can moor close to welcoming riverside pubs and restaurants, pretty villages and market towns, or hole up for the night on one of the broads themselves. We offer a wide selection of boats for 2 up to 12 people to suit every budget – our website offers a live availability search of more than 1,600 boats. Full tuition is provided on arrival at your chosen marina so there’s no need for you to have any boating experience. A break on the Norfolk Broads is a great idea for a romantic getaway, birthday celebration or family holiday and many of our boats are pet friendly so you can even bring your dog along. Enjoy Norfolk’s waterside scenery, towns and villages from a very different perspective. 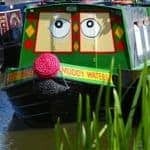 We also offer boating holidays and short breaks on the River Thames and many of the UK’s canals. 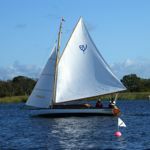 Click here for more about boating on the Norfolk Broads and special offers.